What Can I Use As a Sugar Substitute When Making a Cake? Liquid sugar concentrate, sometimes marketed as hummingbird food, is just simple sugar syrup, a product of sugar and water. 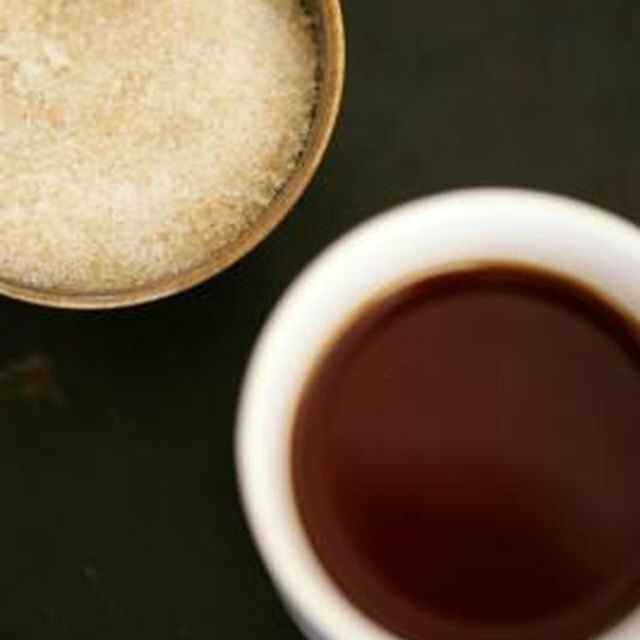 Simple syrup is versatile and can be used on its own to sweeten beverages such as cocktails or in dessert recipes. Also, sugar syrup can be used to make hard candy. Add the sugar and water to a sauce pan. Put the pan on your stove and bring the heat up to medium. Stir constantly until the sugar dissolves completely. Turn off the heat once the liquid has reached a boil. Allow the syrup to cool and siphon it into a container or use immediately. Josh Infiesto has been writing since 2008. He currently writes technical documentation while also doing Web development, design and occasionally technical support. Previously, he was a freelance Web designer and spent most of his time designing websites or writing ad copy for clients. He is finishing a piano performance degree from Southern Utah University and is a Microsoft Certified Professional. What Can I Use in Place of Powdered Sugar to Make Doughnut Glaze? How Much Protein Do I Need for Breakfast? What Kind of Mixed Drinks Taste Like Butterscotch?